Made from authentic white balsamic condimento, aged for up to 12 years in Modena, Italy, the Pomegranate-Quince is one of our favourite white balsamic vinegars! 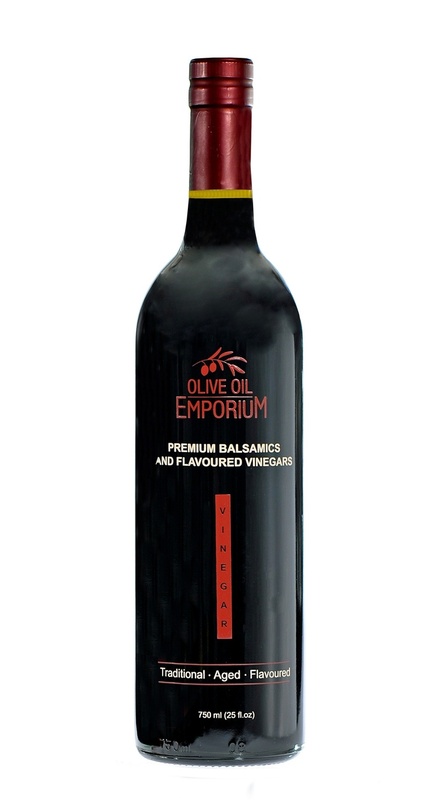 A versatile balsamic that works well with all of our fruit-fused olive oils, and all of our extra virgin olive oils. Tasting Profile / Serving Suggestions: This all-natural, golden-toned white balsamic owes its tart, crisp flavour to juicy Pomegranates and floral winter Quince. It pairs beautifully with our Blood Orange Fused Olive Oil, Persian Lime Olive Oil, and fruitier extra virgin olive oils such as the Hojiblanca, Koroneiki, Leccino, and Picual. Use in dressings, marinades, as a glaze for chicken or pork, in sparkling water, mixed drinks, over fresh fruit, or paired with salty aged cheese. Great with leafy green salads, and works especially well in salads made with legumes and beans, and salds with quinoa, or other grains! It adds substantial flavour to your dishes without changing the desired colour of your meals.